As young children we first experience the difference between winning and losing, learning that competitive sports is a zero sum game. For every game that is won, there must be a team that loses. 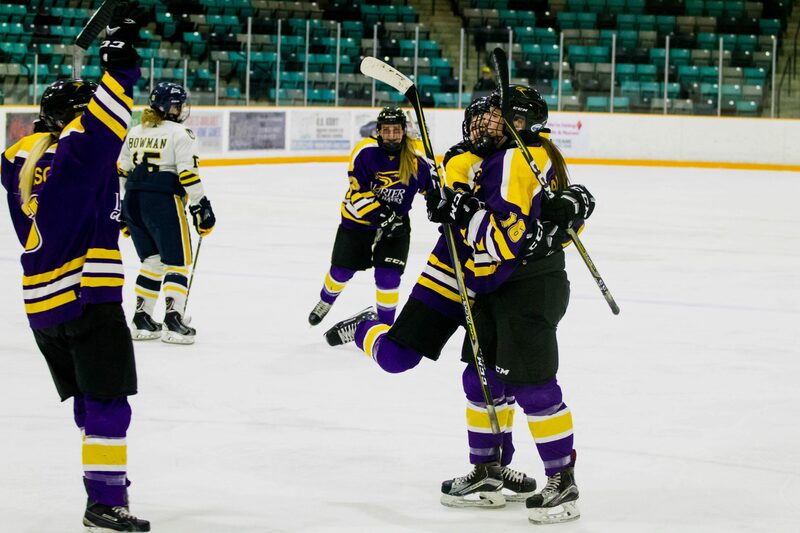 The Wilfrid Laurier University women’s hockey team has been on the wrong end of this equation for more than their fair share this season, with an overall record of 5-16-3. But, even though the season has not been a winning one, that does not mean that there haven’t been any bright spots. One such bright spot has been the play of Kaitlin Saxton, who is tied for second on the team with two goals, one of them a game-winner, and has proven herself to be a defensive force on the ice. All this as a rookie, who is only going to improve as she continues to adapt to U-Sport hockey’s heightened level of play. Of course every transition comes with its bumps and bruises, but the level of play has never proven too great for Kaitlin. Nor for the rest of the Golden Hawks. Of their 16 losses, Laurier has lost by two or less goals 11 times, three of those losses coming in overtime. But as much as the losses sting, Kaitlin explained that veteran presences like Cassandra Calabrese and Jamie Watson do not let the team dwell on them. When your team is losing, optimism can be hard to come by, but optimism is in no short supply for this roster, as Kaitlin detailed Laurier’s strengths being team cohesion and united play. The season has not been favourable for the Golden Hawks, with so many close losses and elimination from playoff contention well before the regular season’s conclusion. But, we must remember that losing does not equal failing. There have been a number of positives for Laurier this year, silver linings during a losing campaign. And who knows, maybe with a great off-season and a little alchemy, those silver linings can be transformed into a trophy of gold.